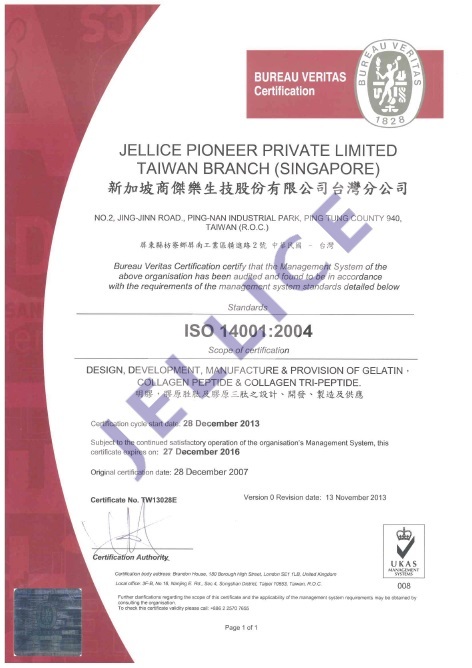 JELLICE specialized in manufacturing high quality food and pharmaceutical grade gelatin and collagen peptide. 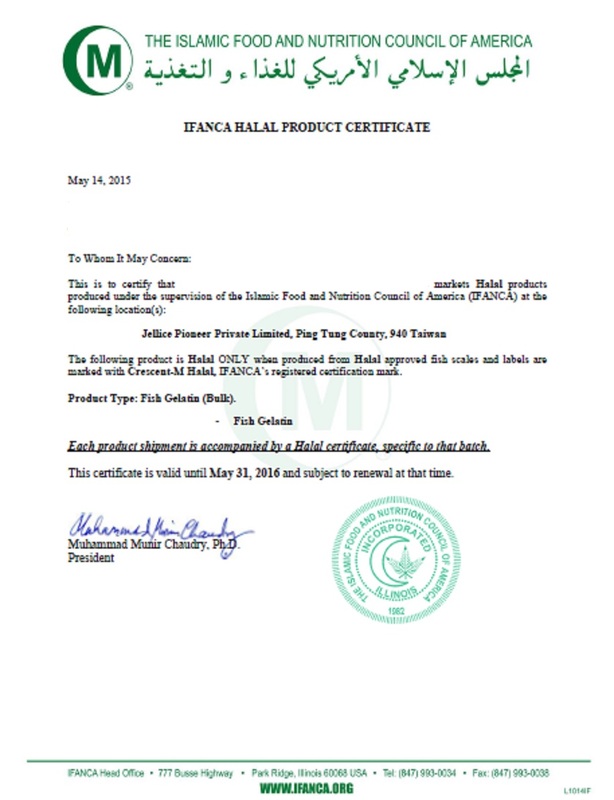 We have strict control for the quality of raw materials, manufacturing process, packaging and logistic of end-products. 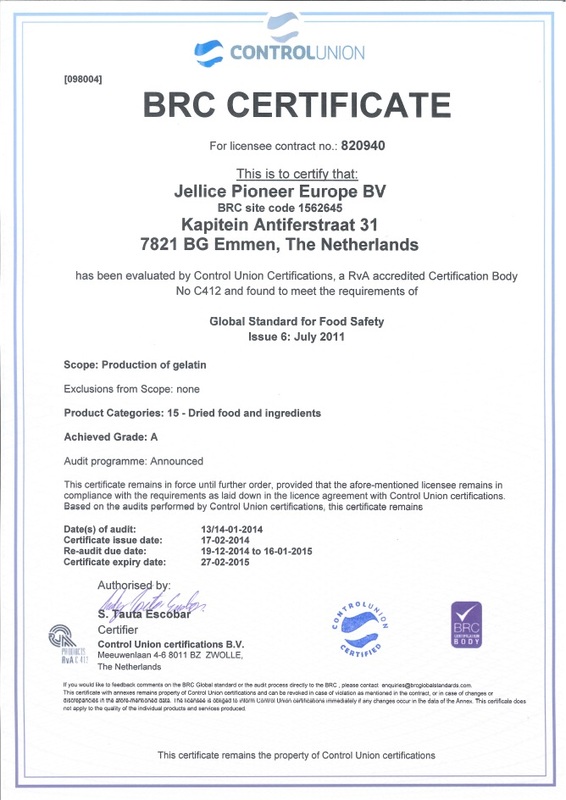 Our products are inspected by recognized 3rd party laboratories, and our clients are satisfied with our quality. 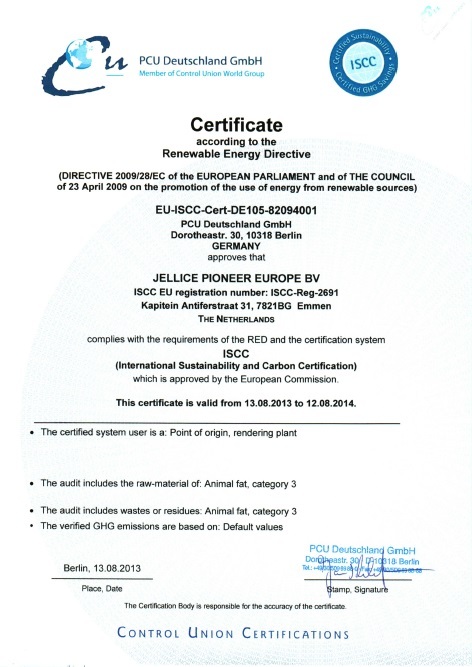 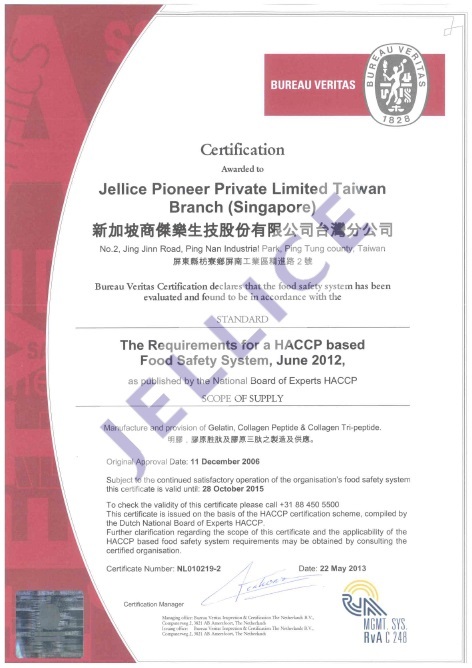 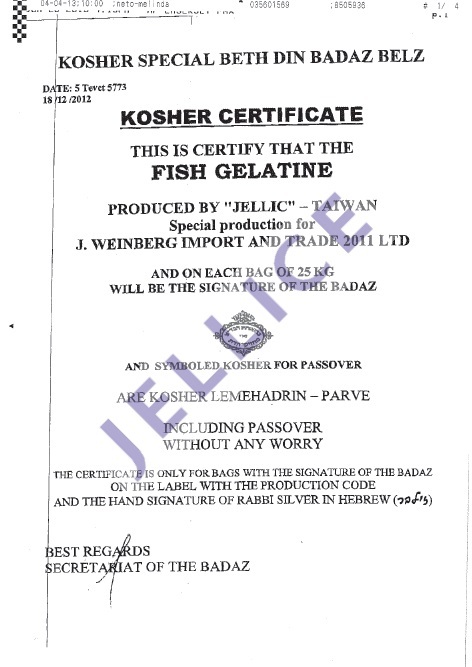 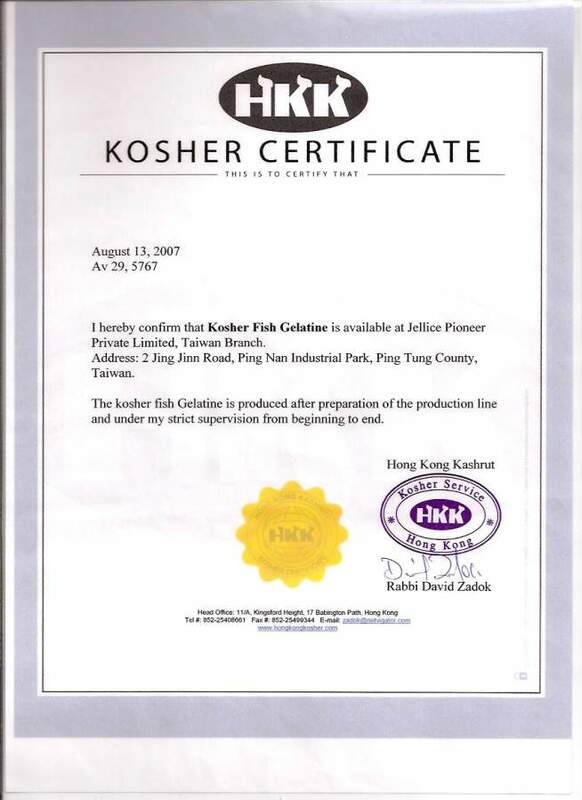 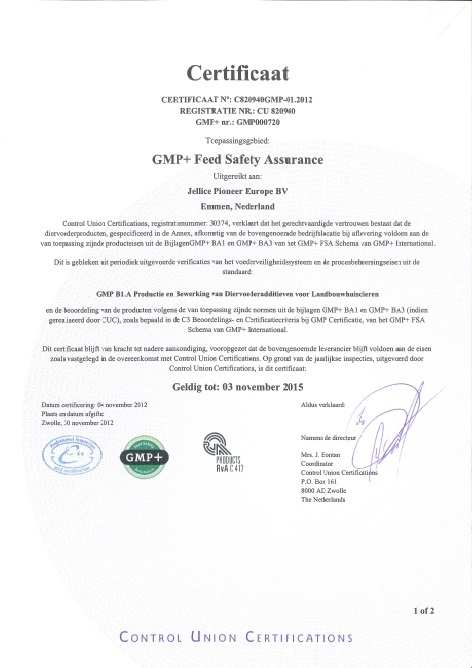 Since 1997, JELLICE is certified by ISO 9001、 14001、HACCP.